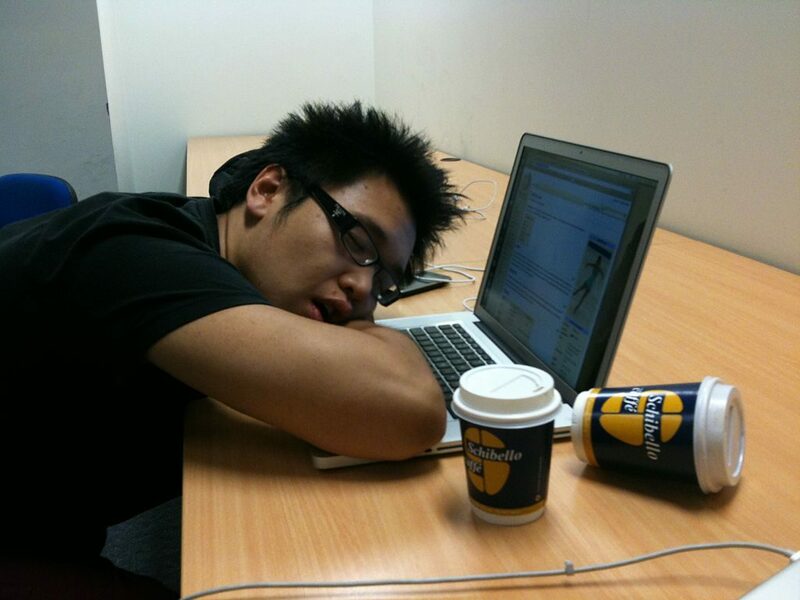 18pt;">Amino acid derivative acetyl-L-carnitine may reduce fatigue in the elderly and people with chronic fatigue. Facilitating energy production. ALCAR plays a key role in energy metabolism, and has been shown to reduce fatigue in the elderly and people with fatigue-related conditions. 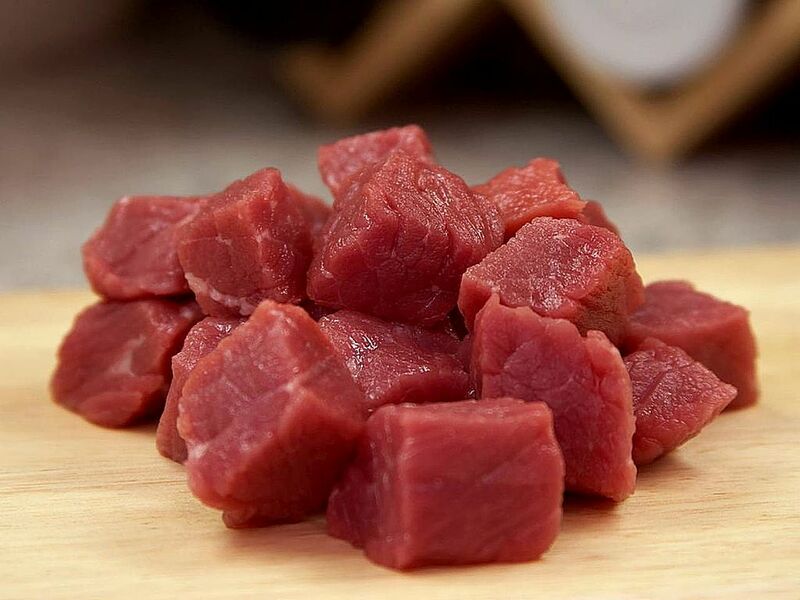 p>Naturally produced in the body, Acetyl-L-carnitine, or ALCAR for short, is a special form of the nutrient L-carnitine that can pass through the blood-brain barrier. 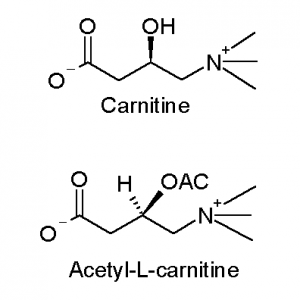 L-carnitine has long been understood to have a pivotal role in the generation of energy (ATP) within mitochondria. 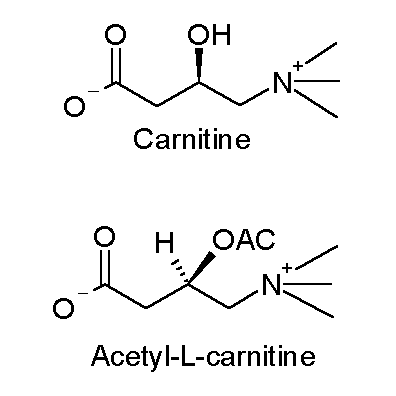 Similar to normal L-carnitine, the primary functions of ALCAR is to transport free fatty acids into mitochondria where they facilitate energy production. Helping convert fat into energy has led to the belief that ALCAR can burn fat and even help boost testosterone. ALCAR is additionally purported to have antioxidant and nootropic effects. The understanding that ALCAR is an essential piece in energy creation has also led some to suggest it might work as an energy supplement. s of energy, acetyl-L-carnitine is frequently taken by older adults seeking to increase their energy levels, and individuals with fatigue-related conditions such as chronic fatigue syndrome. These uses are backed by clinical trials, suggesting that ALCAR is a good way to provide energy in cases of chronic fatigue. It is also sometimes used by younger adults for increasing energy during exercise, but this use is not currently backed by research. e-height: 18.0pt;">Acetyl-L-carnitine has been reported to decrease fatigue in the elderly and individuals with chronic fatigue syndrome. In this controlled study, 96 elderly patients with chronic fatigue syndrome (CFS) who took Acetyl-L-Carnitine (ALCAR) were found to have a decrease in physical fatigue, mental fatigue, and fatigue severity. Significant differences between the ALCAR and control groups were noted: muscle pain (-27% versus -3%), prolonged fatigue after exercising (-51% versus -4%), and fatigue severity scale (-22.5 versus 1.2). In this placebo-controlled, randomized, double-blind investigation, 66 participants over the age of 100 were given either a placebo or 2 grams of L-Carnitine daily. Significant decreases were found in physical fatigue (-4.10) compared to the placebo (-1.10) and mental fatigue (-2.70) compared to the placebo (0.3). In this randomized investigation, 90 patients with CFS were given 2 grams of Acetyl-L-Carnitine, 2 grams of Propionyl-L-Carnitine, or a combination of both every day for 24 weeks. ALCAR was found to significantly improve mental fatigue and attention. In this randomized, double-blind, placebo-controlled investigation, 30 celiacs received either a placebo or 2 grams of L-carnitine daily for 180 days. Fatigue was shown to be significantly reduced in the L-carnitine group compared to the placebo group. In this randomized, double-blind investigation, 18 men were given 60 grams of a carbohydrate control or 2 grams of L-carnitine 2 times a day for 24 weeks. Compared to the control, the L-carnitine group demonstrated a higher percentage of fat burning and better energy production while exercising at 80% intensity. In this placebo-controlled, randomized, double-blind investigation, 84 seniors were given either a placebo or 2 grams of L-Carnitine twice daily for 30 days. L-carnitine significantly decreased physical fatigue (by 40%) and mental fatigue (by 45%) compared to the placebo. Acetyl-L-carnitine 1500 – 2000 mg for energy. Acetyl-L-carnitine may increase energy levels in the elderly or people with chronic fatigue. We recommend ALCAR for increasing energy in older adults and people with conditions marked by chronic fatigue, such as CFS. Start with a 1500 mg dosage. Most supplements tend to recommend a total dosage of 1500 mg daily. But given that successful studies use doses of at least 2000 mg, moving up to this dose may be more effective.